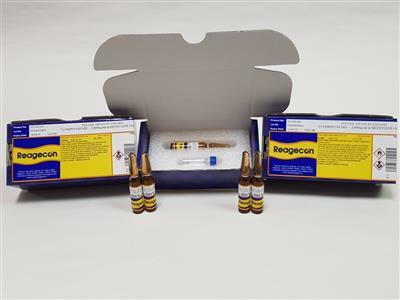 This Reagecon Phenol Standard (7 Compound Mix) is a ready to use product that is used either as a calibrant or analytical control solution for a variety of gas and liquid chromatography methods that include GC, GC-MS, HPLC and LC-MS. 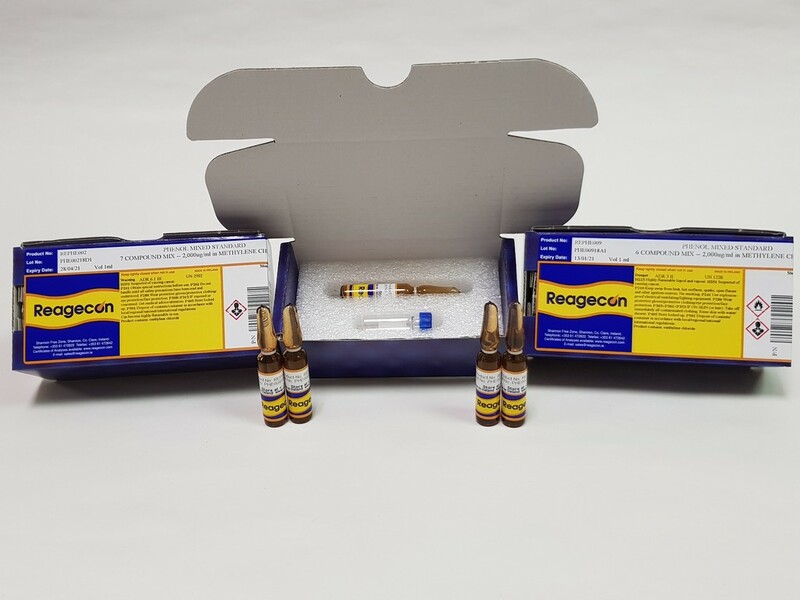 This product can also be used to validate appropriate test methods or qualify an instrument in a regulated industry. 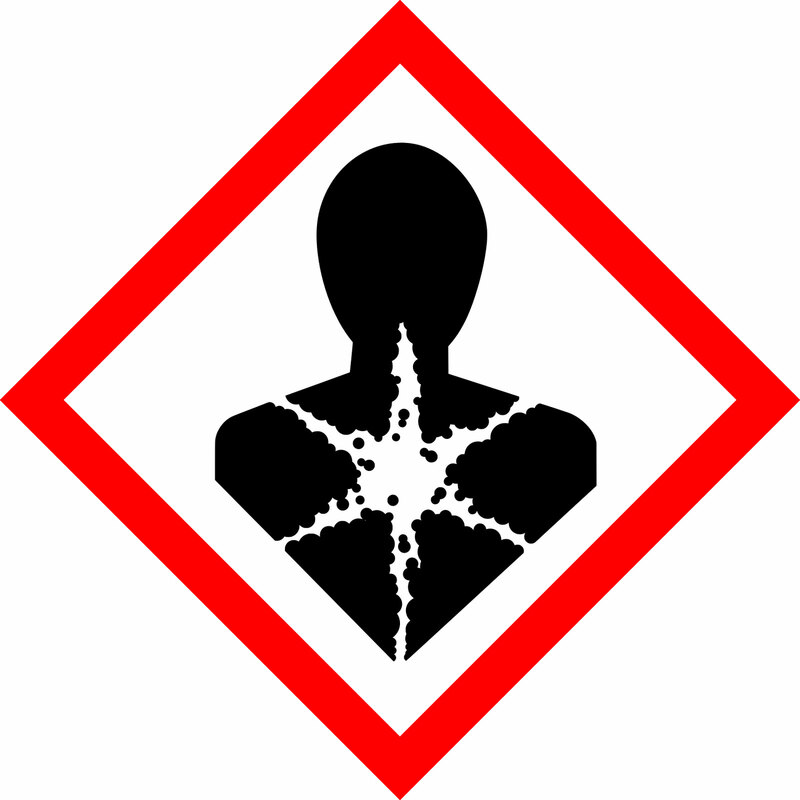 The product is tested using an ISO 17025 accredited test method (INAB Ref: 264T) on a high performance GC-MS.